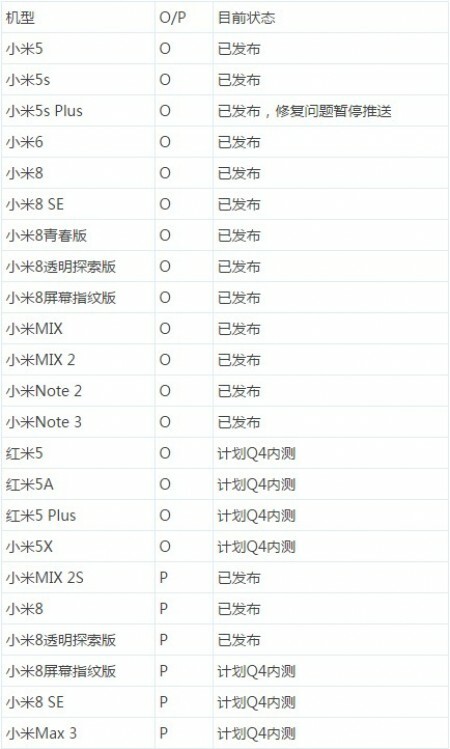 Xiaomi just published a list of devices that are getting Android Pie or Android Oreo in Q4 this year. The phones in the list will be receiving at least the beta version of the software and with enough luck, will get the stable release until the end of 2018. First to get you up to speed – most of the handsets from this list are already on Oreo while the Mi Mix 2S, Mi 8 and Mi 8 Explorer are running Pie. What’s important here is that the Mi 5s Plus’ Oreo update appears to be delayed due to unresolved software issues while the Redmi 5, 5A, 5 Plus and Mi 5X are due for an Oreo update during this quarter. The rest of the Mi 8 lineup and the Mi Max 3 will get a taste of the Pie during that same period. Xiaomi also clarified that devices that have already gotten two major updates or have been updated recently will miss on the Pie action. Handsets that are too old will be kept out of the loop as well. Sadly, the company didn’t disclose exactly which models won’t get the latest and greatest of what Google can offer.